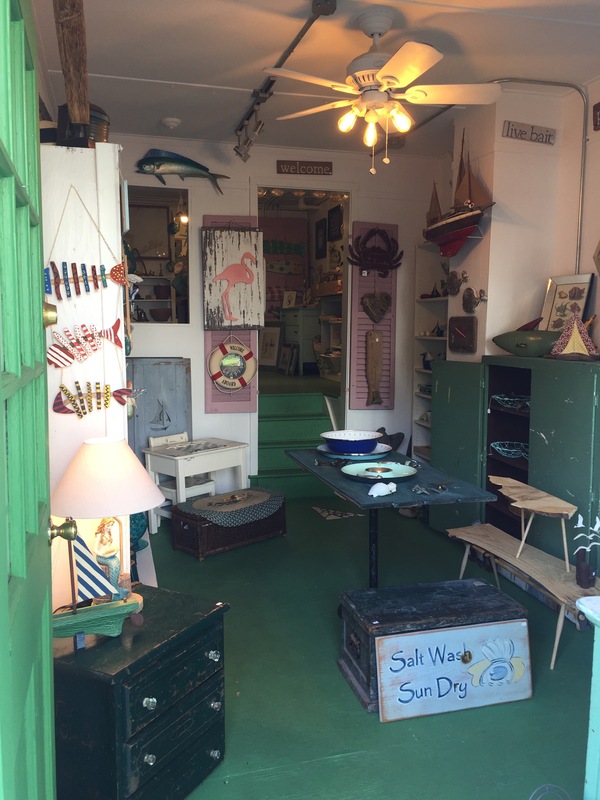 Mermaids aren’t just mythical creatures at The Quirky Mermaid in Southold. They can be found on sea glass necklaces, vintage ornaments, cast iron hooks and signs. 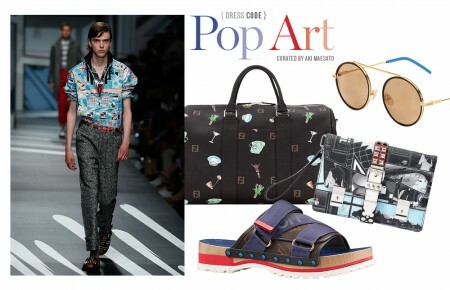 Whatever it may be, The Quirky Mermaid has something for all fans. Stocked with under-the-sea treasures, Clayton wants her shoppers to feel they’ve stumbled upon a gem. 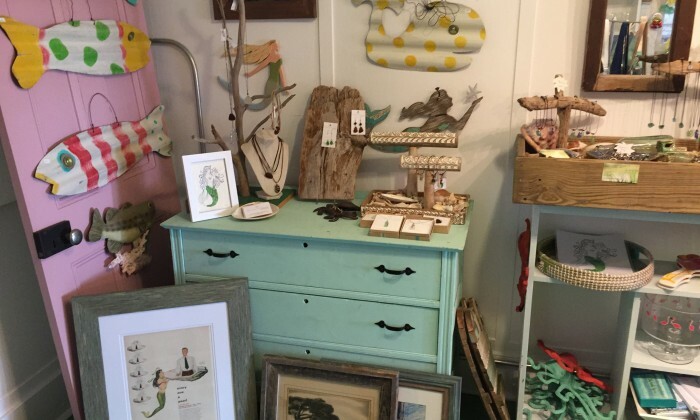 Standout items include a purple-blue dresser with glass bubble pulls, framed little sea glass birds, jute mermaid rugs, nautical cross-body bags and hand-carved sailboats. But finding plenty of “pearls” isn’t hard when the atmosphere is made for browsing. Bob Marley tunes softly play, incense burn (sometimes candles) and time seems to stand still.